thus, the use is the same as Protect X1. However, having different type of package, Protect S1 is mostly used by athletes for protection of skin scratches during their activities. Typical athletes who use Protect S1 are marathon runners, cyclists, triathletes , and free climbers whose activities continuously and repetitively scratch skins with outfits and tools. When Protect S1 is applied before their activities, its ingredients penetrate into the skin and create a protection layer to prevent the skin surface from scratching. The layer will remain on for three hours even when sweat or rained. 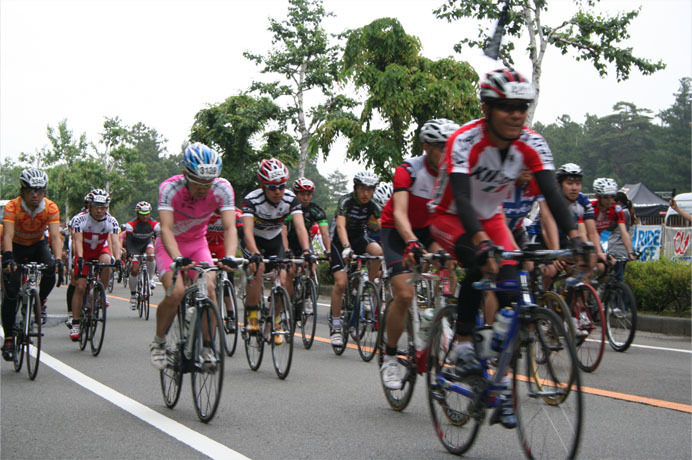 In the past, petroleum oil such as Vaseline was often used for protection of skin scratches during active sports. However, Vaseline is a petro gel, leaving greasy residues for irritating feel on the skin, not exactly ideal for sports activities. A conventional skin protection cream has only two types of ingredients, whereas, Protect S1 has three, having higher effect with no cream odor left on the skin. Since its production, Protect S1 has been highly appraised amongst the athletes. 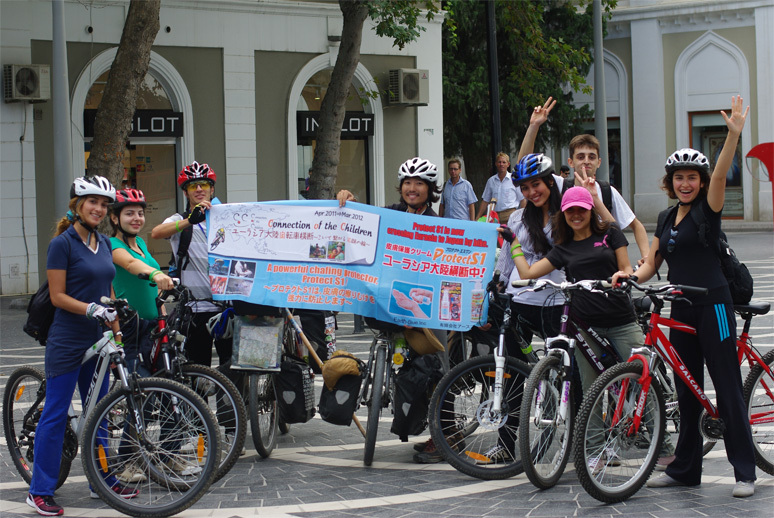 Together with Cyclists; They belong to a Bicycle Club in Azerbaijan. 15ml bottle is the most portable; one bottle is more than enough for a sports event. Refilling with 80 and 200ml bottle is also more economical. 80ml bottle, packed in a clear case with user's manual, is sold in sport merchandise stores. 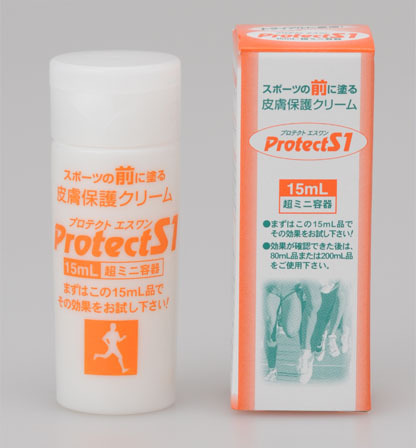 In Japanese athletic field, many still use Vaseline; however since the production of Protect S1 started, it has been penetrating into many athletes for its effect being recognized. We expect the product to be widely spread amongst judo players, yachtsmen, where players often get scratches, to fishing, mountain climbing and many other outdoor recreations. Unfortunately, during sports, there is a possible cause of skin damage not covered by Protect S1, i.e. UV burns. In July 2011, we have developed a solution to it!